Shiseido is one of the beauty brands that I always deemed intimidating. This is not only because of its steep price range but also because of the fact that it's a staple in my mom's beauty regime. I considered this as something I would probably use when I was older. 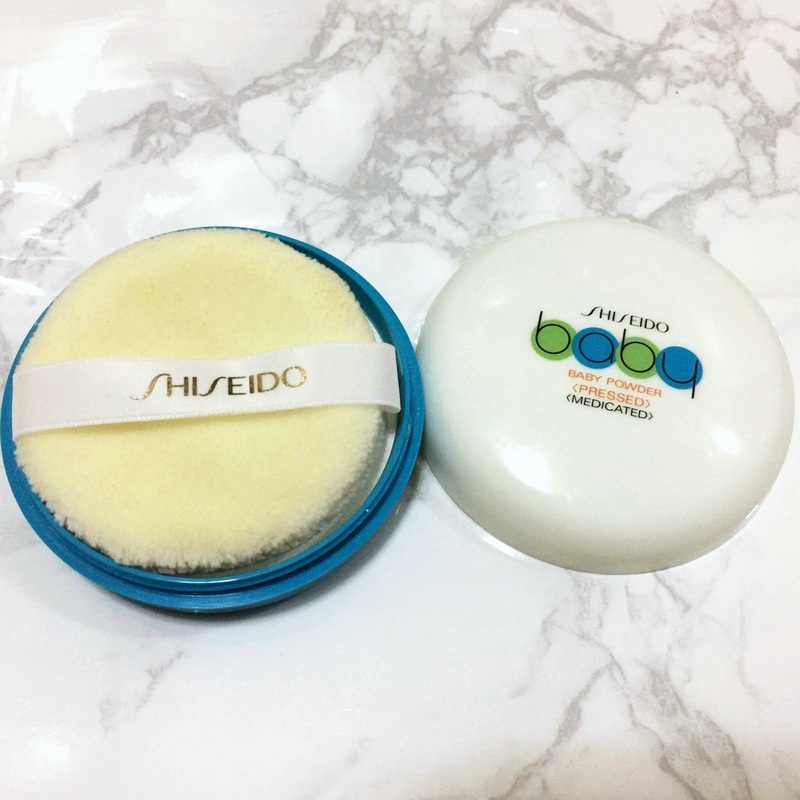 Imagine my surprise when my sister discovered Shiseido Medicated Baby Pressed Powder during her recent trip to Japan. Shiseido's Medicated Baby Pressed Powder is formulated for babies who have sensitive skin and are allergic to regular powder. It's used to soothe and calm babies' skin, prevent diaper rash, excessive sweating, etc. This powder comes in a rather bulky blue and white packaging with a twisting top cap sans a compact mirror. It's complimentary puff is reminiscent of the typical baby powder puff we're familiar with from our childhood. 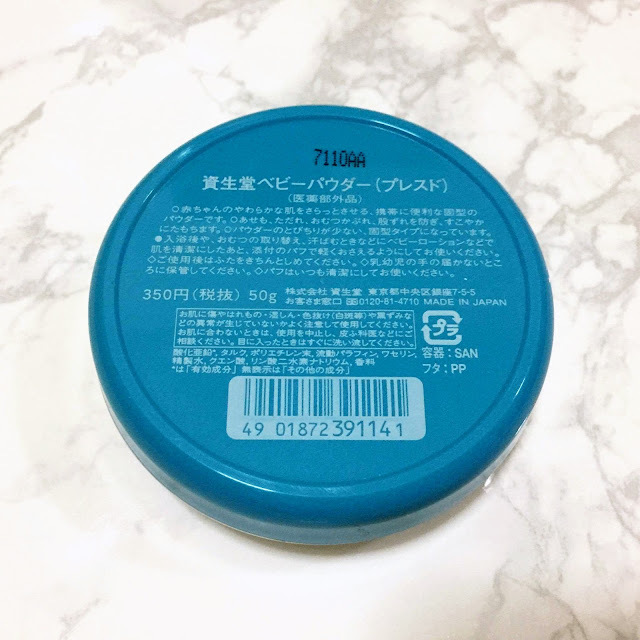 It's texture is powdery fine but it also has enough creaminess for it to melt flawlessly into your skin. The powder is white but it becomes translucent once blended in the skin. It may leave a white cast but it is not a problem as long as you blend it well. It's unscented (well, sort of). You'll get a whiff of a milky scent if you really try to intentionally smell it, otherwise, it's not really that noticeable. I thought it would smell something similar to other medical products because of it being 'medicated', but fortunately it doesn't. I've been using this everyday as a setting powder ever since I received it. My skin immediately feels refreshed and silky smooth upon application. I apply it using the puffer but if you prefer to use a powder brush, that's fine as well. I don't find the need to re-apply throughout the day because it keeps the oiliness at bay. Seriously though, it's oil control ability is amazing. At times, I could reach the end of my day and still be shine-free. I don't even bring it with me anymore, so the bulky packaging doesn't bother me. 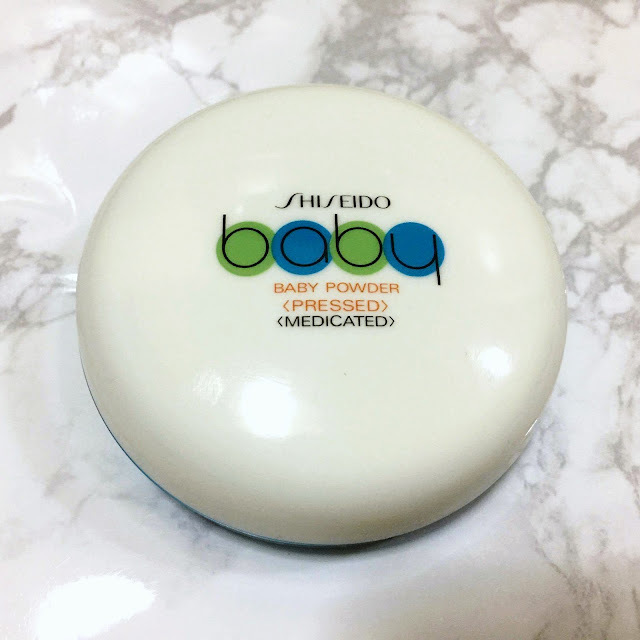 It would even work well as a stand alone powder for days when you just want your face to breath or maybe as a blotting powder. In the Philippines, it's currently only available at some local online stores(check Go Sasha PH) and retails for around PHP350. 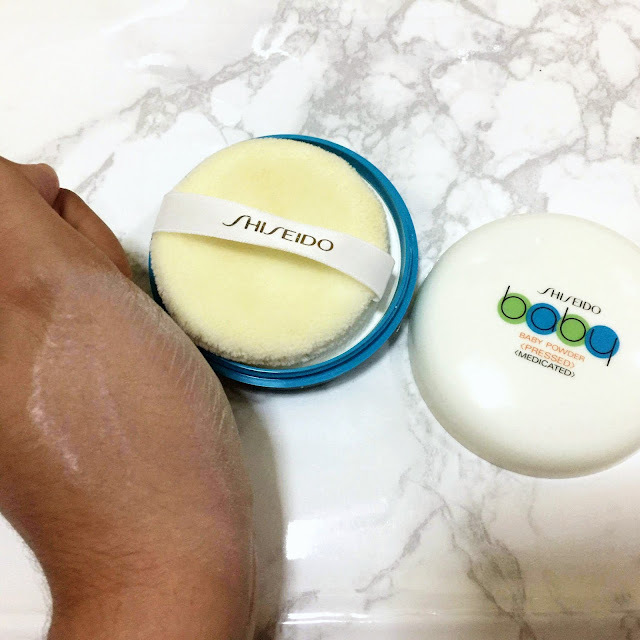 I highly recommend Shiseido Medicated Baby Powder (Pressed) for anyone in need of an amazing powder that's mild, fragrant-free, versatile and affordable. If you have oily or sensitive skin, this is definitely worth the try. I hope you enjoyed my first ever product review. Until next time. I also just created an Instagram account and a Facebook page for this blog. 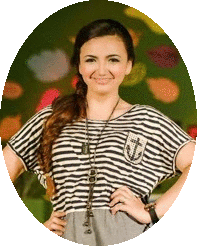 It would be nice if you could show your support by following me. Please also leave your IG id's in the comment section so I could follow you back. I never tried this before, sometimes even the white translucent is too light for my skin. I always thought that Shiseido is an unapproachable brand for poor students like me so I always stray away from the shiseido section in drug store so I've NO IDEA that shiseido has a cute baby powder lol. My sebum free Innisfree powder hasn't been used completely yet so Shiseido could wait. I honestly felt that way too! I love this powder so much now. Yeah, it's a bit hard to get a hold of. This looks like such a nice product! My mom LOVES Shiseido products and tried to get me to join the train XD. Sounds like the powder did a lot of good! Thanks for sharing :)! Hahaha. My mom did so too. I couldn't do it though, but now, I'm on the train! I didn't really know about it till now. This sounds awesome! I do need something with good oil control too so I'll check it out. Very useful review. It looks like a good product. Sounds good if you have kids. Yes! It could be used for kids too. for shiseido, the packaging for this is really cute! I know. I was shocked they had this and in a pretty cute packaging. I feel the same way about Shiseido as well. My mom was a big user of the brand because she had a friend who worked for the company. It took me awhile to get into their products myself. This medicated powder sounds like it has some good skincare benefits along with it's cosmetic features. It doesn't do much with covering imperfections though. I didn't even know they made baby products! The few products I've tried by them I was not too impressed by. I hear from a lot of people they are either hit or miss. I haven't tried any other products from them honestly. Haha. This sounds so cool! I had no idea this product existed. Never tried this, but surely sounds great. Thanks for sharing. I've never heard of this or the brand but it sounds like a really good product! It's a cult favorite of moms everywhere, especially here in Asia. Shiseido actually has affordable drugstore lines in Japan but we don't carry those here in the Philippines though :((( This is one of them. 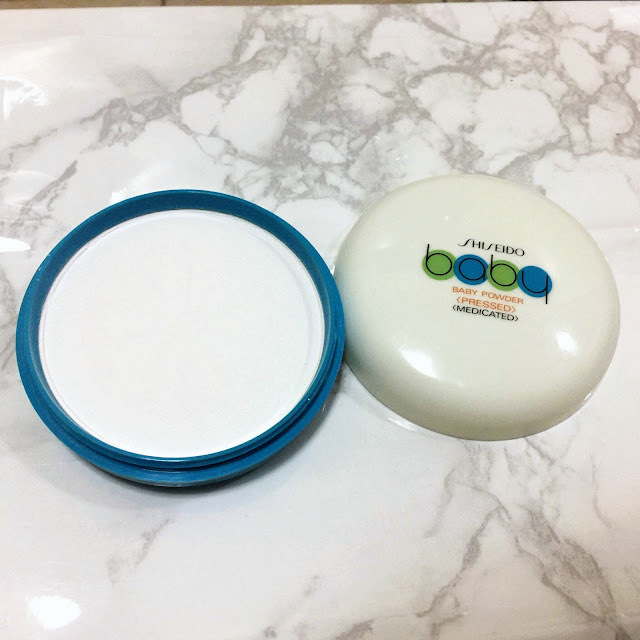 I tried this before and I loved it, it's just that I found it too bulky for my makeup kit so I just leave it at home most of the time and use a smaller oil control compact. This stuff sounds really luxe- I love Shiseido! Me too actually since it's quite expensive. I had no idea Shisheido did baby products, thanks for sharing! I actually didn't as well. Great review! This productis amazing! I have used this brand before and think it is very good! This is the first product I ever tried from them and it's awesome. I love the fact that it's fragrant-free and affordable. I'll definitely need to check this powder out. I've actually never tried Shiseido makeup before. This is one of their affordable products, most of the others are quite expensive, it's such a great brand though. I never tried before but since I am not a foundation user and uses only powder, i might give this a try. I don't use foundation as much also. It's too hot here, it would usually just melt off. LOL. Thanks for the review. I never tried the brand yet. I shift through Maybelline or other local organic/natural brands for a change. I read that you are an engineer in your sidebar. It's really interesting since I took en engineering course as well. This is my first time with the brand and it is awesome. How interesting! I love that in Asia you're able to find more affordable Shiseido products in drugstores, I know they have this pink toner that's quite nice for calming the skin as well. Hopefully they'll expand these affordable options to the west soon! I live in Asia and we don't even have these at our drugstores, which is sad. I never heard of that pink toner but I'd love to try it! This is a great review! It sounds like a wonderful product! Thanks for sharing! This sounds like an interesting product, especially for sensitive skin. My sister uses a lot of their products. I usually only buy selected products from them. Thanks for sharing. Their sunblock I hear is the best. The packaging is really cute for the brand.